M30046 Office Relocation – Stunning White Leather Conference Suite With Matching Credenza, And Executive Furnishings! ONLINE NOW! 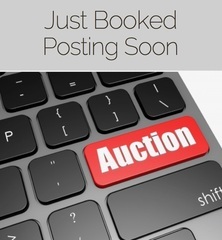 AUCTION CLOSING DATE: Tuesday, April 23rd, beginning at 12:07 pm. Bidding closes on the first item at 12:07 pm, then closes at the rate discussed in these Terms and Conditions of Sale.